No one wants to head to the dentist, but many times the trips are unavoidable and critical to your oral health. Emergency dental visits are one of the most dreaded visits, however, true emergencies call for quick care. But how do you know if you’re truly facing a dental emergency? Here are some of the most common issues Dr. Quartano sees when treating emergencies. Teeth can break when hit at odd angles or when playing sports. While there are cosmetic repercussions to having a broken tooth, even worse is the possibility of losing your tooth. When a tooth breaks you need to get to a dentist to ensure the blood flow isn’t impeded and that the tooth can be kept alive. Often in teeth that cannot be kept alive, a root canal is performed. This helps to keep your tooth intact, but stops it from decaying. A tooth that’s been knocked out must be kept clean and moist at all times. Place it in a cup of cold milk or wrap it in a moist paper towel and head to the nearest emergency dental office. It’s critical that the tooth is re-inserted as soon as possible so that you have the highest probability of saving the tooth. If your tooth can’t be saved, options like single implants can be used to allow you to keep your smile. A swollen jaw can occur because a tooth has been pushed back into the jaw bone, a tooth has broken, an infection has set in, or the jaw itself has been broken. Regardless of the cause, immediate attention is required so that treatment can be given right away. Oftentimes dentists rely on x-ray machines and other non-invasive techniques to understand what is the underlying cause of the swelling and how they can treat it. An extremely painful toothache that doesn’t go away with over the counter medications can be an indication of a deep infection. Look for swelling of the gums and particularly bad breath that doesn’t leave after brushing. If you’re experiencing a toothache of this magnitude, you’ll want to get into the dentist immediately to ensure any infection doesn’t spread and you’re treated right away. 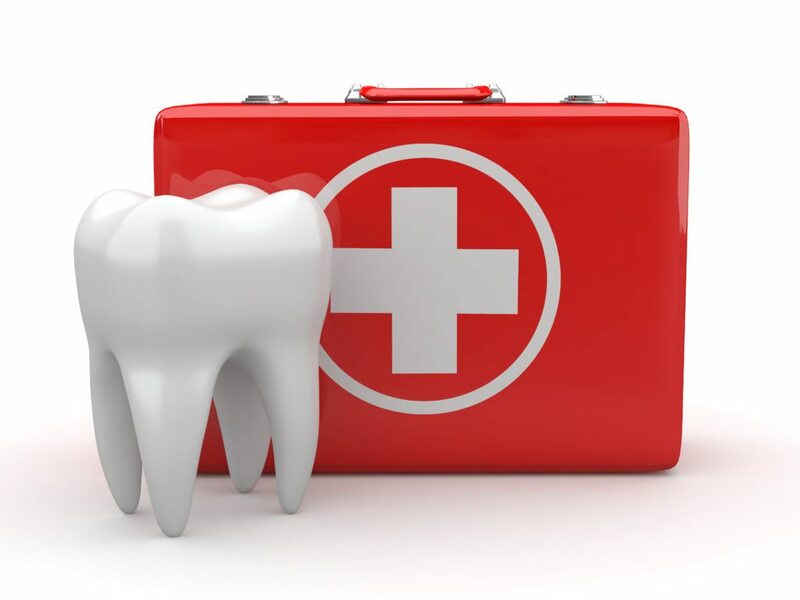 Many dental emergencies can be prevented. Investing in a quality, custom made mouth guard will help ensure you’re protected from flying balls and other contact when playing sports. Maintain a proper oral care regime to ensure your teeth are healthy and strong. And, when eating avoid super hard food like popcorn kernels. These can easily crack a weak tooth and have you running to the emergency dentist. If you’re looking for emergency dental care and aren’t sure where to go, trust your mouth’s health to our team at Magnolia Dental. We’re available and ready to help meet your dental needs in the most gentle and pain free way possible. Contact us to learn more about how we can serve your or hear about our many other services. Next Post: What are Dental Implants? At Magnolia Dental, a dentist office in Covington, LA, our goal is to provide the highest quality care available by achieving excellence in all that we do. We accomplish this as we continuously work to improve our talents and capabilities...read more.